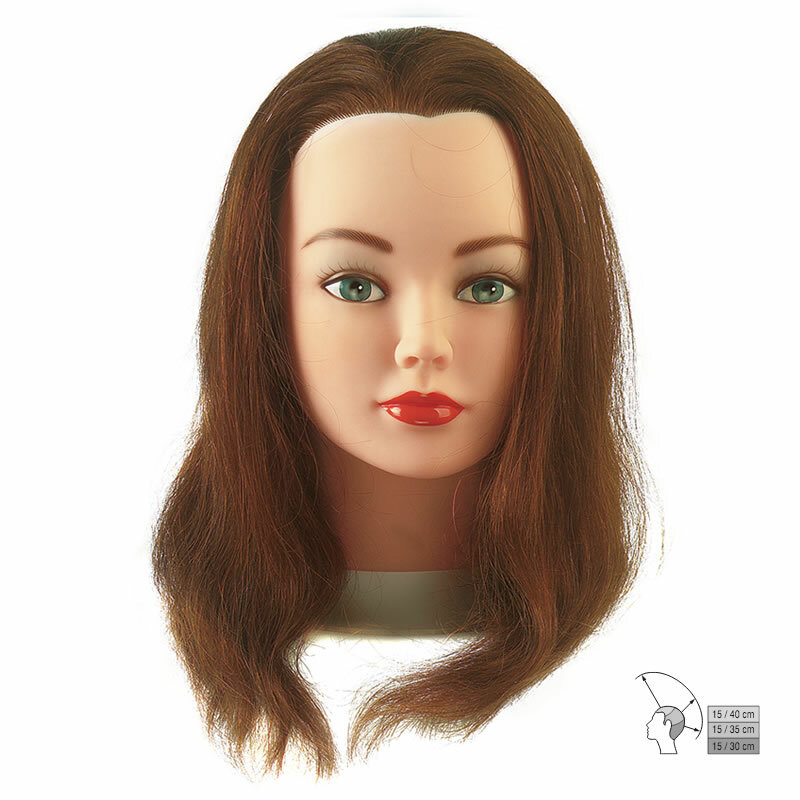 Sibel's Cathy training head is a classic medium-length head, featuring light brown, 100% human hair with a medium-thick density of 230–260 hairs/cm². It's ideal for learning all types of hairdressing techniques and the extra thickness makes it well suited for braiding and updo practice as well as tinting, perming, hot styling and cutting. Like all Sibel heads, the hair has been through 7 purification baths to ensure perfect hygiene. Each hair is implanted by hand to match natural growth patterns as closely as possible. The base is fitted with a rubber stop which guarantees a secure fit on all types of training head clamp. Hair length: 15–40 cm (6–16 inches). N.B. Training head clamps and tripods are sold separately. £65.94 (inc. VAT) Why no VAT? We're a trade wholesaler and quote our prices without VAT to help our VAT-registered customers understand the true cost of a purchase. Training head tripod with built-in stabiliser. Height adjustable between 80 cm and 130 cm. Black training head clamp made from unbreakable plastic with a universal prong that will fit all standard training heads. Simply clamp to a table or work bench to hold your training head securely. Black vice made from unbreakable plastic. Easy to attach to a table or work bench to hold your training head securely. Took a day to get used to but I expected this, amazing fades from this crisp fresh, nearly doubled my hair cuts in a day using these, the new attachements are amazing at picking up hair on the kids definitely recommend to any barber!